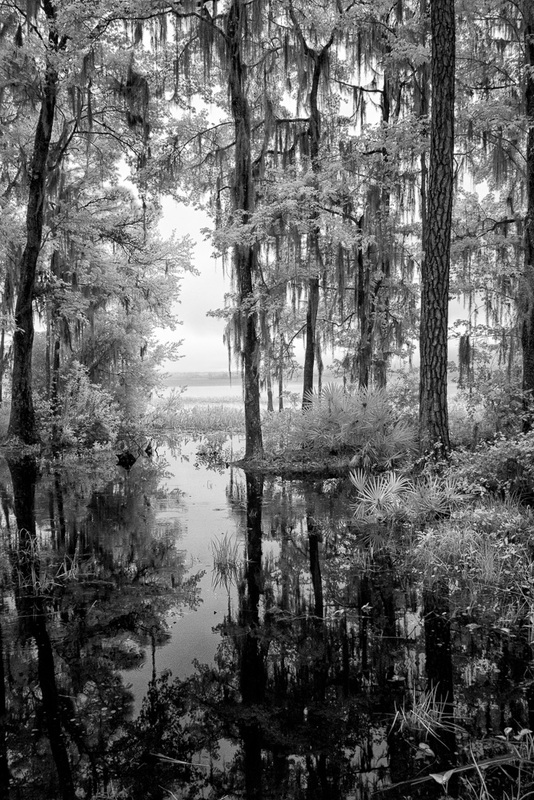 On a recent trip to Florida, I visited the Osceola National Forest. The whole time we were in northern Florida it was rainy or at least heavily overcast. 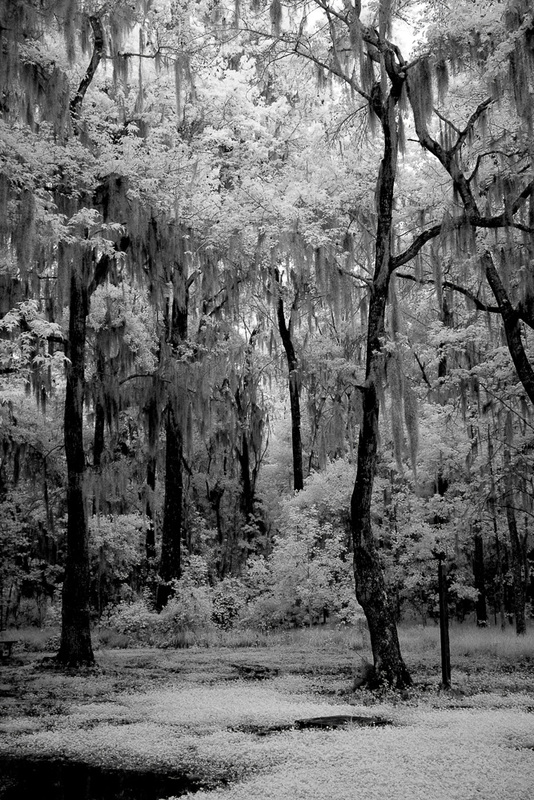 The forest was closer to a national swamp than a forest, but it lent itself very well to infrared treatment. ~ by Admin2 on May 28, 2014.